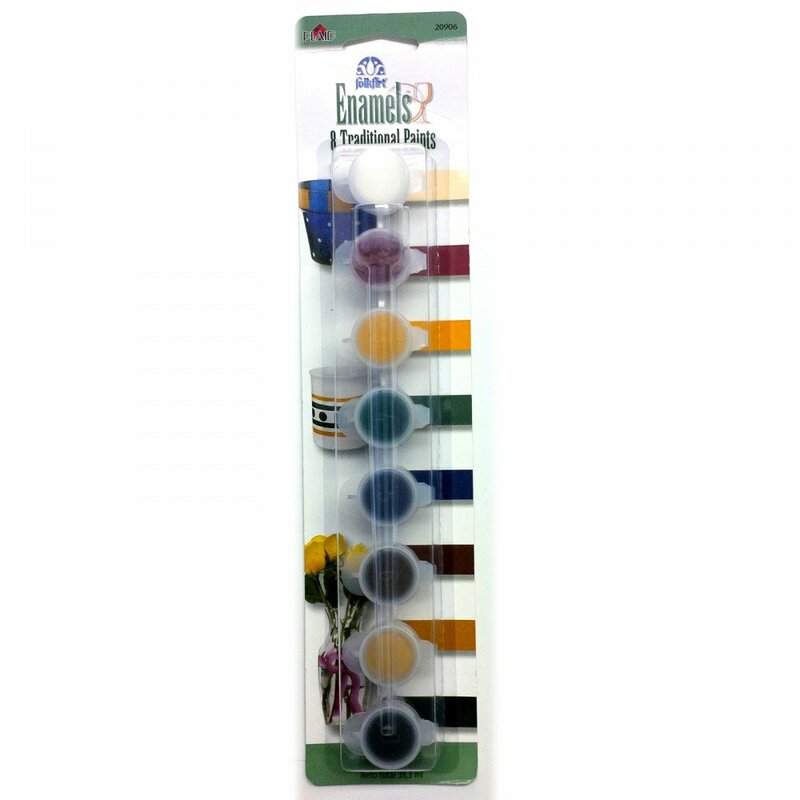 FolkArt Enamels - the one-step, dishwasher-safe formula for painting on glass and ceramics! 8 traditional colours water base non toxic, air dry for 21 days or oven bake. Set includes eight popular traditional colours - warm white, berry wine, yellow ochre, green forest, midnight, burnt umber, gold and licorice.